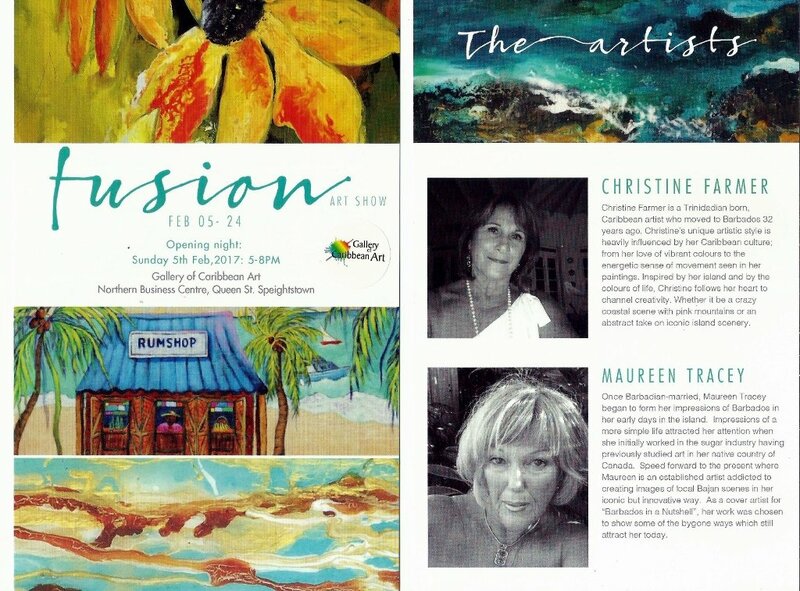 The Gallery Of Caribbean Art is pleased to present 'Fusion' by artists Christine Farmer and Maureen Tracey. An engaging and dynamic display of Bajan lifestyle in art form. Opening night: Sunday 5th February, 2017 from 5-8pm. Show continues to 24th February, 2017.